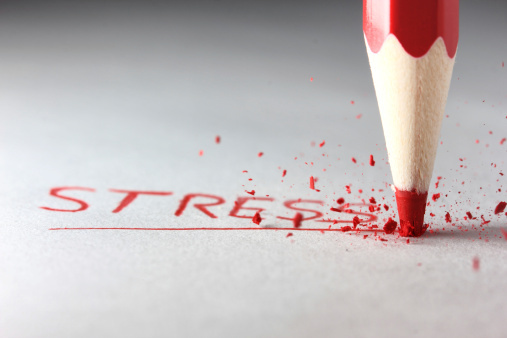 February 18 2014 - According to new research, we are a nation of stressed staff. While a certain level of stress can certainly be a good thing, unmanageable levels of stress can have a very negative impact on both performance and employee health. According to the Big Work Survey from YouGov on behalf of Westfield Health, 64% of UK workers admit to being stressed at work. Across the UK, Scottish employees were the most stressed workforce with 71 per cent of them admitting to worrying levels of pressure. The Scots were closely followed by Yorkshire & Humber with 69 per cent admitting to similar concerns. Wales has the least stressed workforce with 'just' 52 per cent. The survey questioned more than 2,000 working adults and 520 senior decision makers in the UK about their experiences of employment. The figures are unsurprising, given that 82% of employees admitted to having worked over their contractual hours in the last 12 months. Furthermore, almost nine in ten of UK workers are guilty of 'presenteeism,' meaning they turn up at work though they are not feeling their healthy best, and three-fifths admitted they even turned up despite being ill because of work commitments. Despite of the stress, the majority of the respondents claimed to 'like their jobs', while Richard Branson came top of the respondents' idea of a 'dream boss'. "There are certainly positive signs to be found in this survey, with the majority saying we like our jobs and 59 per cent of bosses rating staff health as 'very important'. But it is shocking to hear that more than a quarter of workers have cancelled holiday time because of work pressures," said Paul Shires, Westfield Health Executive Director. Furthermore, the survey found that our colleagues often even add to unnecessary work pressures, as regular lateness, gossiping and loud talking were identified as the top three workers' most annoying habits. In addition, almost half of the surveyed employees complained that their employer did not create a 'fun and healthy environment' to work in. More importantly, because of this high percentage of stress at work, businesses could be storing up 'bigger problems down the line.' Many of the businesses surveyed acknowledge stress as a problem in the workplace, with more than a quarter of bosses believing it is a 'common pressure'. But nearly all (95%) believe workforce health is important to the success of their organisation. "Steps to improve worker health can lead to measurable economic benefits which may be greater than the costs associated with sickness absence, as well as boost morale and improve recruitment and retention," commented Shires. All businesses should aim to follow larger organisations, who are able to invest in a staff development consultancy to enable more effective operations give them a competitive advantage as an employer. Personal development training can particularly teach employees how to handle pressures in the workplace.